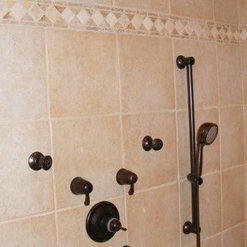 We help to establish a number that fits into your investment range that help you to get the kitchen or bathroom or exterior project you have always dreamed of. 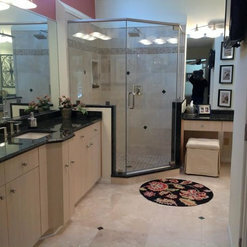 Simply Distinct Kitchens and Bath of Medina Exteriors & Remodeling just completed our bathroom renovation. 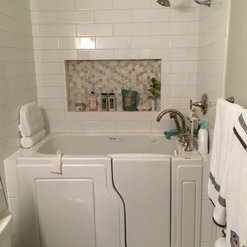 We had a small pre fabricated vinyl shower stall, a large unused bathtub, and a vanity area with limited storage. Our wish list included an open concept large tiled shower and a bigger vanity with higher counter tops for starters . We are so glad we chose Medina Exteriors for this job! The staff is professional, attentive, and available. 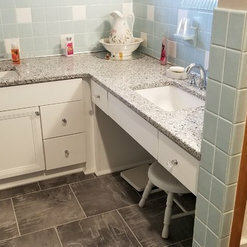 We had our own design consultant who led us through the entire process, listened to our concerns and wishes, and helped us achieve our dream bathroom. The contractors were highly skilled and easy to work with, kept to the outlined time frame and the quality is top notch. Jennifer...thank you for the kind words and praise. You guys were a pleasure to work with and we loved your vision and inspiration that you had in the overall theme. Having the right people, proven processes and technology helps us to create successful projects like yours. Our passion is Improving Lives by Improving Homes and we hope we did that for you. 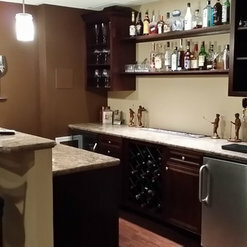 We had a partial basement remodel done. Caleb and Crew were so amazing! Professional, friendly and expert at their jobs. They turned a stinking old basement into another room in the house. Only one issue with flooring during the remodel. 7 of the 11 boxes of tile came in from the manufacturer in the wrong color. Caleb called immediately and had it taken care of and replaced within 2 days. Then flooring installer worked a long day to keep project on schedule! I have worked with Medina Exteriors several times. 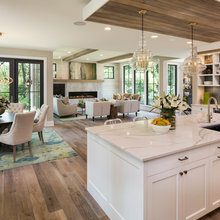 They did a complete kitchen renovation and a new roof. From start to finish they were absolutely wonderful. I plan to use them again in the future. Thanks Amanda and we look forward to the Master Bathroom remodel in 2019. Merry Christmas. In the fall of 2018, after talking with several home-exterior remodeling contractors we decided on Medina Exteriors. 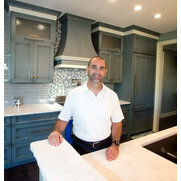 Dan the Sales Rep that we initially talked with and eventually agreed to work with on our project was knowledgable, thorough, responsive and patient when answering all our questions. In general a pleasure to work with. We hired them to do a complete tear off of our existing siding, install new siding and install a new Provia fiberglass front door. Being December the weather did not cooperate and was very cold for much of the time their crew was working on our house. In spite of that, they did a tremendous job. 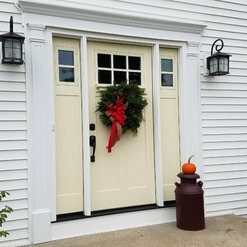 They dealt with the cold, and did a great job, were polite, cleaned up well, and like the rest of our experiance with Medina Exterior were a pleasure to work with. If you have the need for services that Medina Exterior offers, you can feel confident that you are working with a business that knows what they are doing, will do what they say at a competitive price. 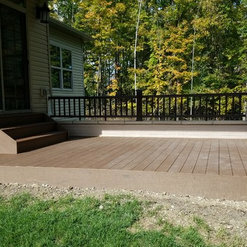 Medina Exteriors and Simply Distinct have performed numerous household renovation projects for us. 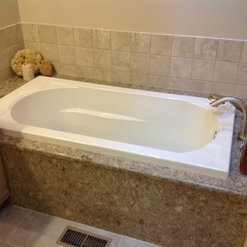 Basement remodel; multiple bathroom remodels; and kitchen remodel. These projects were extensive and detailed. Brett, Caleb, and Kevin are all easy to approach and worked together seamlessly to ensure these projects were of the highest quality. Thanks Hugh...been awesome watching Rachel and you grow your family and that we could be a part of improving your lives by improving your home...Happy Thanksgiving and thank you for all the trust. Jeanne...thanks for the kind word...we have learned that having great people, processes and technology really make a difference...cant be great if we are missing any of the three. God has truly blessed us with great people that make the processes and technology work. We had our roof and gutters replaced. We also put on new shutters and had our deck rebuilt. The work was completed on time and finished earlier than expected. Everyone involved was extremely professional and made us feel like we were the most important job they had. I would recommend them to everyone. I can’t wait to hire them again. The most “stress free” project we have ever had. Installed seven windows, stained oak wood for jams and casings to specified color, cut, and installed. Efficient, beautiful job by skilled contractors. Pleased with the entire process from the estimate to the cleanup. These guys are amazing! From start to finish everything was great! We will go back to them for future jobs! It's been four months since our bathroom remodel was done and paid for. 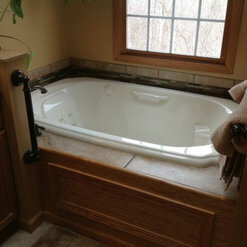 The plumbing is leaking on the new tub. The joints on the woodwork are separating. The wood on the new mirror is splitting. Talked to them. They didn't Call as promised. Had them do some exterior work and I'm completly satisfied with the exterior work they did. ITS NOW MARCH 5 2016 STILL NO CALL OR SCHEDULED INSPECTION AS PROMISED. ( March 8 ) Medina ext sent plummers today fixed all our pluming concerns and made some improvements. Medina ext.have scheduled the painter to address our concerns and promise it will be taken care of. The mixup on notifying us was explained to my satisfaction. They have tried very hard to make us happy and assured us we won't have an ongoing problem. 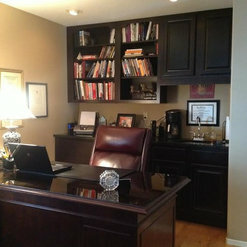 Dave and Nancy...so glad you are happy with the remodel and that the process went extremely well during construction. We do appreciate your business. 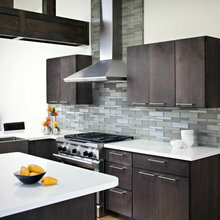 We have communicated extremely well with the both of you for the entire project install and any after install concerns. Any question or concerns have NEVER gone unanswered or not addressed for more than 24 hours. 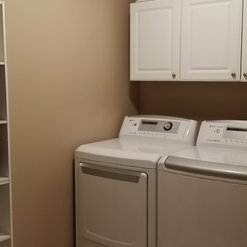 We are really confused in that we have looked at the pictures you brought to us and scheduled the painter 3 weeks ago to do the touch ups that are needed. Both of you left for Florida and just returned recently. I am not sure how else we could have expedited the process any faster. The reason you and all are other clients hire our company is that we do SERVICE our projects long after they are complete and we have been paid. Not many remodeling companies can say this and we take this seriously and with great pride that we do this. We apologies for the 1 miscommunication of over 100's that we did communicate on. I highly recommend Medina Exteriors and Remodeling. This is the third time we have hired them. Everyone is very pleasant, courteous and professional and they do an excellent job from set up to clean up. We are very pleased with the work that is finished on our current project which is a kitchen upgrade/remodel and can't wait to see it all come together when we are finished. 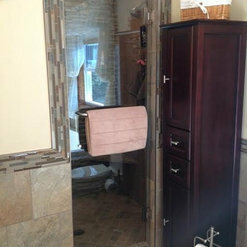 Commented: ShowerGood Morning...It is a Basco 4500 Infinity door with Brushed Nickel finish.